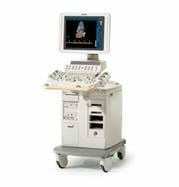 The Philips HD11 XE ultrasound machine has gone above and beyond the features offered from the HD11. It has the same capabilities as the HD11 but with many new features. Such features include the stress echo option, anatomical M-mode, and Tissue Doppler Imaging (TDI).The Philips HD11XEis ideal for many settings such as hospitals, satellite clinics, and special practices.